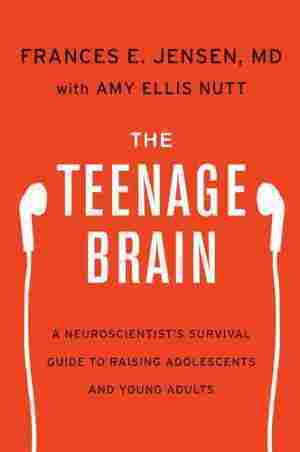 The Teenage Brain NPR coverage of The Teenage Brain: A Neuroscientist's Survival Guide to Raising Adolescents and Young Adults by Frances E. Jensen and Amy Ellis Nutt. News, author interviews, critics' picks and more. Demystifies the teen brain by presenting new findings, dispelling widespread myths and providing practical advice for negotiating this difficult and dynamic life stage for both adults and teens. April 15, 2016  Research shows that teenagers' brains are not fully insulated, which means that signals move slowly. Frances Jensen, who wrote The Teenage Brain, explains. Originally broadcast Jan. 28, 2015. My beautiful, auburn-haired son had just returned home from a friend's house with his hair dyed jet-black. Despite my inward panic, I said nothing. "I want to get red streaks in it," he told me nonchalantly. I was gob-smacked. Is this really my child!? I'd begun to ask the question often during my fifteen-year-old son Andrew's sophomore year at a private high school in Massachusetts, all the while trying to be empathetic. I was a divorced working mother of two teenage sons, putting in long hours as a clinician and professor at Boston Children's Hospital and Harvard Medical School. So if I sometimes felt guilty about the time I spent away from my boys, I also was determined to be the best mother I could be. After all, I was a faculty member in a pediatric neurology department and actively researching brain development. Kids' brains were my business. But my sweet-natured firstborn son had suddenly become unfamiliar, unpredictable, and bent on being different. He had just transferred from a very conventional middle school that went through ninth grade, where jackets and ties were the norm, to a very progressive high school. Upon arriving, he took full advantage of the new environment, and part of that was to dress in what you might describe as an "alternative" style. Let's face it, his best friend had spiky blue hair. Need I say more? I took a deep breath and tried to calm myself. Getting mad at him, I knew, wouldn't do either of us any good and probably would only alienate him further. At least he felt comfortable enough to tell me about something he wanted to do before he actually did it. This was an opportunity, I realized, and I quickly seized it. Instead of damaging your hair with some cheap, over-the-counter dye, what if I take you to my hair guy for the red streaks? I asked him. Since I also was going to pay for it, Andrew happily agreed. My hair stylist, who was a sort of punk rocker himself, got totally into the task. He did a great job, actually — so good that Andrew's girlfriend at the time was inspired to color her hair in exactly the same black-and- red motif. She attempted this herself, and needless to say had different results. Thinking back to those days, I realize so much of what I thought I knew about my son during this turbulent time of his life seemed turned on its head. (Was that a compost pile in the middle of his bedroom, or laundry?) Andrew seemed trapped somewhere between childhood and adulthood, still in the grip of confusing emotions and impulsive behavior, but physically and intellectually more man than boy. He was experimenting with his identity, and the most basic element of his identity was his appearance. As his mother and a neurologist, I thought I knew everything there was to know about what was going on inside my teenager's head. Clearly I did not. I certainly didn't know what was going on outside his head either! So as a mother and a scientist, I decided I needed to — I had to — find out. Professionally, I was primarily studying the brains of babies at that time and running a research lab largely devoted to epilepsy and brain development. I was also doing translational neuroscience, which means, simply, trying to create new treatments for brain disorders. Suddenly, however, I had a new scientific experiment and project: my sons. My younger son, Will, was just two years Andrew's junior. What would I be in for when Will reached the same age as his older brother? There was so much I didn't get. I had watched Andrew, almost overnight, morph into a different being, yet I knew, deep inside, he was still the same wonderful, kind, bright kid he'd always been. So what happened? To figure it out I decided to delve into the world of research on this somewhat foreign species in my household called the teenager, and use that knowledge to help me and my sons navigate their way more smoothly into adulthood. The teen brain has been a relatively neglected area of study until only the past decade. Most research dollars in neurology and neuropsychology are spent on infant and child development — from learning disabilities to early enrichment therapy — or, at the other end of the spectrum, on diseases of the elderly brain, especially Alzheimer's. Up until just a few years ago, the neuroscience of the adolescent brain was underfunded, under researched, and obviously not well understood. Scientists believed — incorrectly, as it turned out — that brain growth was pretty much complete by the time a child started kindergarten; this is why for the past two decades parents of infants and toddlers, trying to get a jump on their children's education, have inundated their kids with learning tools and accessories like Baby Einstein DVDs and Baby Mozart Discovery Kits. But the adolescent brain? Most people thought it was pretty much like an adult's, only with fewer miles on it. The problem with this assumption is that it was wrong. Very wrong. 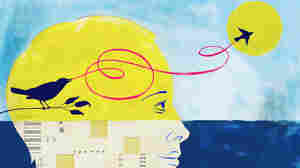 There are other misconceptions and myths about the teenage brain and teenage behavior that are now so ingrained they are accepted societal beliefs: teens are impulsive and emotional because of surging hormones; teens are rebellious and oppositional because they want to be difficult and different; and if teenagers occasionally drink too much alcohol without their parents' consent, well, their brains are resilient, so they'll certainly rebound without suffering any permanent effects. Another assumption is that the die is cast at puberty: whatever your IQ or apparent talents may be (a math or science type versus a language arts type), you stay that way for the rest of your life. Again, all wrong. The teen brain is at a very special point in development. As this book will reveal, I learned that there are unique vulnerabilities of this age window, but there is also the ability to harness exceptional strengths that fade as we enter into adulthood. From The Teenage Brain: A Neuroscientist's Survival Guide to Raising Adolescents and Young Adults by Frances E. Jensen and Amy Ellis Nutt. Copyright 2015 Frances E. Jensen and Amy Ellis Nutt. Reprinted courtesy of Harper, an imprint of HarperCollins Publishers.